Call and talk with me about what lures you would like. 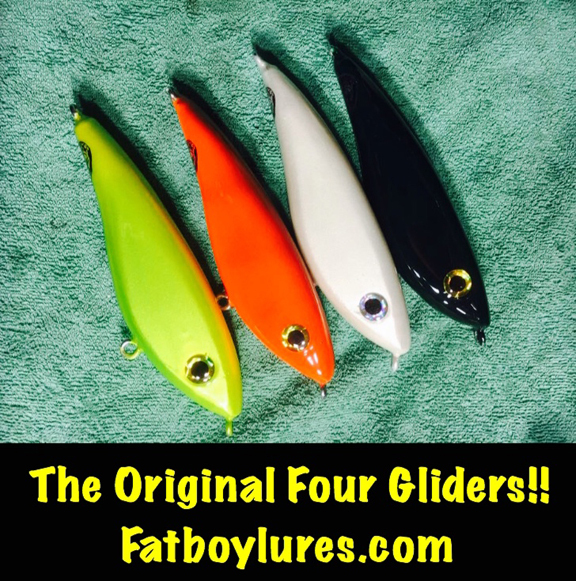 6, 8, 10 and 12 inch Gliders! 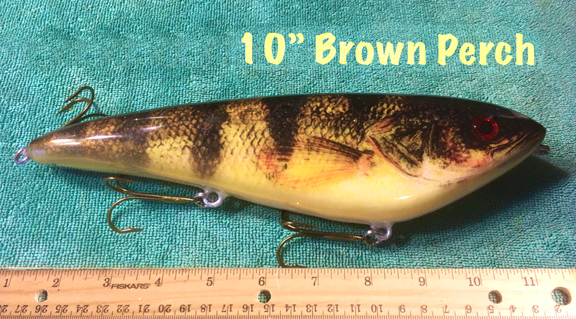 These lures make a great personal gift for Father's Day, Birthdays, Holidays, Corporate gifts, Sportsman Outing, Anniversary gifts, Annual Fishing Pals gifts, or prizes... Not only are they a nice personalized gift, they will catch big fish! 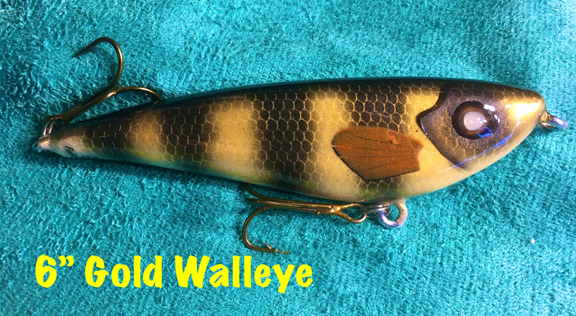 Lures can be created for corporations and businesses too. Contact me for more information. 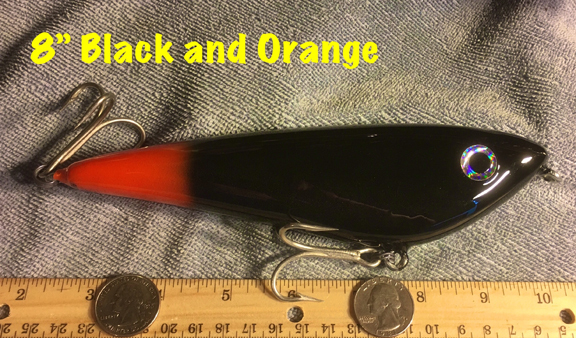 Unlike those larger lure Big-Box corporations that have their lures made overseas, my Lures are personally made and created by hand and not by automated machines. Each lure is tested before it's sent to you, to make sure it wiggles and acts the way FatBoy Lures are known for. All components are Tried, True, and Tested. If it doesn't pass my rigorous test on perfect action, it gets set aside and a new one is made from scratch. 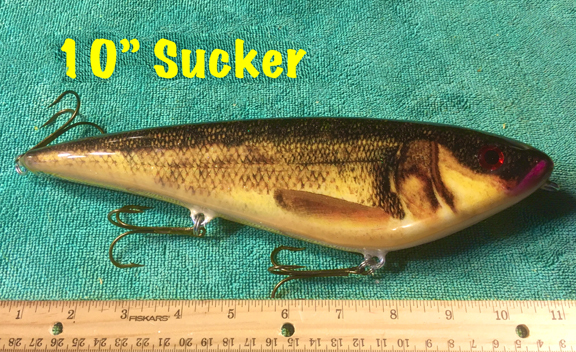 There have been times I caught fish on the test cast, no kidding, so I know they attract and catch fish... BIG FISH! 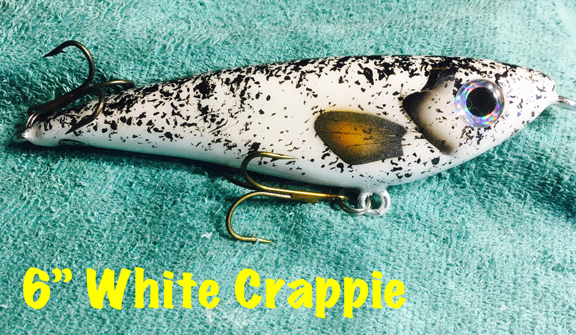 FatBoyLures are the result of a 22 step hand-crafted process. All components are Tried, True, and Tested. We accept cash and credit card transactions through www.Paypal.com. Money Orders, Cashiers Checks and USPS Money Cheques also accepted. 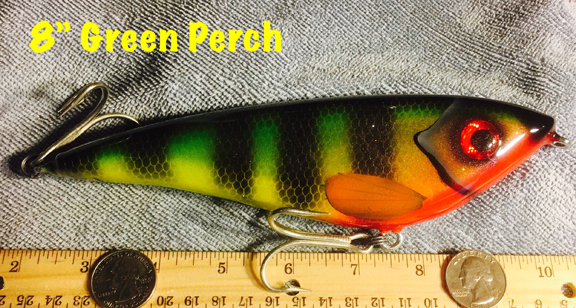 eMail me if you have any questions, want to order, or create your own personalized lures. 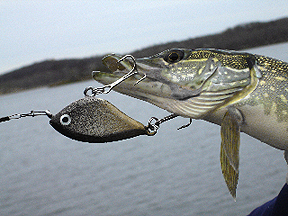 Visit our Accessories Page for other fishing gear. Accepting instant payment, money transfers, checks and credit cards through Paypal.com, and USPS issued money orders. Click the logo to sign up for free! © 2018 Mad Musky Logo is a registered trademark.